On 10th January, local women, community groups and statutory services came together to host a series of workshops around serious issues in the Burngreave area. I hosted the event, having witnessed how worried parents are about increases in stabbings and shootings in the area. We know how the community needs assurance from the police and the local council that people in Burngreave will get full support to have a safer future for our families. 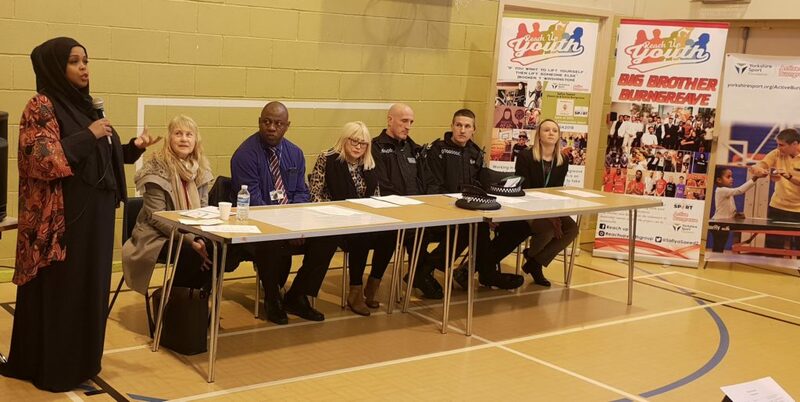 We broke into groups to discuss three key areas of concern – around education (with a group chaired by Counillor Jackie Drayton), neighbourhood safety and mental health (chaired by Inspector Chris Lewis, Inspector Ben Hall and Ursula Myrie from ADIRA, mental health support), and community activities (chaired by Kathryn Mudge from Active Burngreave). In these groups, we began identifying key issues, and tried to develop a few solutions. Apart from the wider social issues, such as unemployment and the under-resourcing of services, all the groups agreed that one of the major problems was the lack of activities for teenagers in the area, especially in school holidays. It was also thought that a lack of coordination and communication between groups, leads to an unawareness of those activities and support which are available. The workshops were productive and there will be a follow up meeting to keep the communication with mothers open. Cllr Jackie Drayton to work with Kathryn Mudge to increase community usage at Verdon Recreation Centre. We have to work as one to help our children and young people to feel safer, we have to support each other in order to move forward.